Get Ready, The Fourth Reich Is Here. 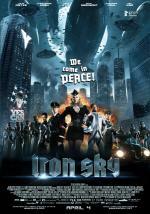 An army of Nazis from the dark side of the moon launch an all-out attack on planet Earth after biding their time on the lunar surface for 70 years in this irreverent sci-fi comedy starring Udo Kier and Julia Dietze. The year is 2018.